It’s almost exactly a year ago (18 December 2017) that the ANC elected Cyril Ramaphosa as its President. Ramaphosa won by the narrowest of margins; 2440 to 2261 votes. Following President Jacob Zuma’s resignation on 14 February 2018, Ramaphosa was elected unopposed as the President of South Africa the next day. The Johannesburg Stock Exchange immediately rallied, Government bonds firmed, and the rand strengthened to its best level since early 2015; a phenomenon that came to be known as “Ramaphoria”. It started to dawn on the country that his intention to fight corruption and fix the economy would be hamstrung by that wafer-thin victory at the ANC’s elective conference, and by the defeated faction of a deeply divided party who seemed to be fighting back. The economy slipped into recession. Discussions around land expropriation without compensation rattled investors. State-owned companies, especially Eskom, threatened to bankrupt the country. Despite all this, the ship seems to be turning around ever so slowly. Disgraced South African Revenue Service Commissioner Tom Moyane is gone. So is the National Director of Public Prosecutions Shaun Abrahams. 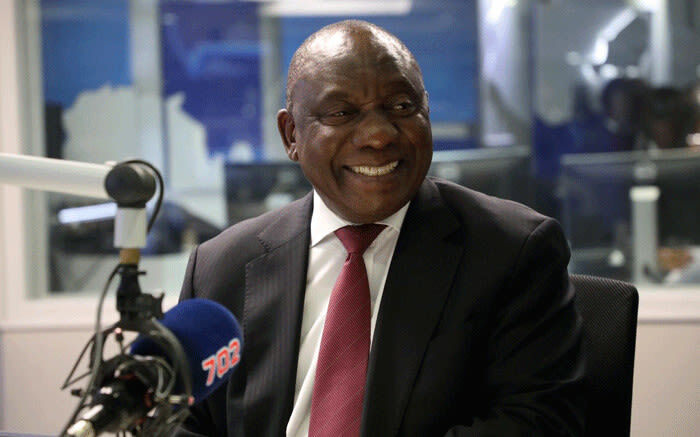 Success for President Ramaphosa – and South Africa – is not a given. 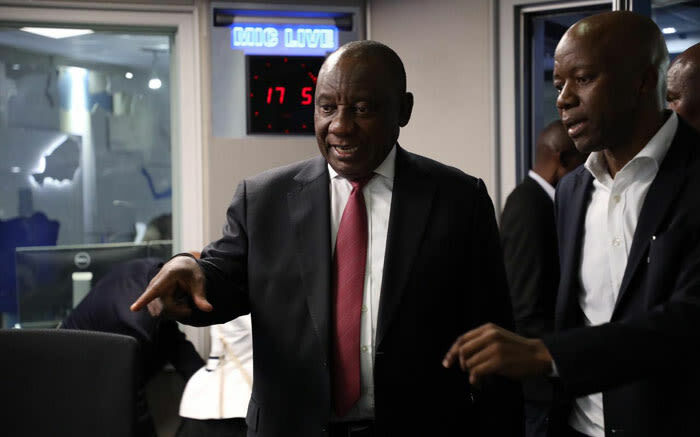 President Cyril Ramaphosa is taking strain, he admitted to Xolani Gwala at the start of the interview. Being president is much harder than he thought it would be, he said. Nevertheless, he “does it for the service of the people of our country”. Listen to the entire interview in the audio below (and scroll down for brief highlights from it). "There have been revelations week after week. Some have been shocking, and some have come as a surprise. With some, you had an idea but didn't really know the depth of it..."
"A number of countries have been downgraded, we are facing a rather difficult economic situation at the moment and we are working very hard to upgrade ourselves so we are at investment grade." President Ramaphosa says Government will look at the business model of Eskom. He says he will announce a task team on Friday. President Ramaphosa agrees that many workers in the country earn way below the minimum wage. "That minimum wage will continue to go up." Asked why the Presidency accepted SABC board resignations, Ramaphosa said, "The members themselves came forward and said we want out... it is difficult to say I am not going to release you." He has refuted claims that there is any political interference from the ANC. "We have been identifying people involved in this and rooting them out and getting them to leave so we can clean up... I have sat down with the Auditor General and he has told me horrifying stories." "I answered a question correctly, there is no corruption whatsoever. Money was paid to a campaign fund which I had no control over or knowledge of. None of it went to me, or my family." "I am not yet locked on numbers. I am dealing more with functionality." "Many of the projects we are embarking on are aimed at young people... one of the things we are going to test drive is the German system where young people get into colleges and do theoretical work..."
"I am very much aware of the crisis that we are facing in our health sector. Our hospitals are in need of proper infrastructure... Our National Health Insurance which we are finalising is going to be one of the solutions." "Unity and renewal. Those two concepts are what is going to define the future of the ANC. The provinces that were fraught with disunity are now beginning to unite..."
"I am confident that we will not get below 50%, in fact, we are going to top the 2014 numbers. The ANC has always been the home of the people of South Africa." Ramaphosa speaks to Gwala on a wide range of issues ranging from state capture to internal ANC dynamics.